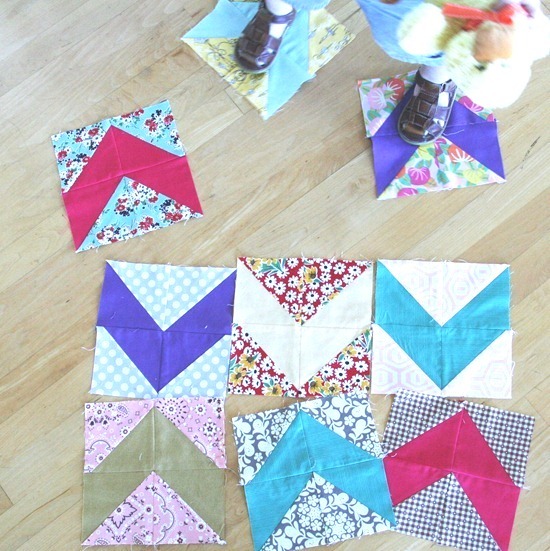 The pattern for the Forties Chevron quilt in my last post can be found here for FREE (thanks Jane)! I got new patterns back from the printer today. I wrote the patterns back in November/December knowing I’d be too busy after baby arrived…so its really nice to have them finished and in my hands. After the kids are tucked in bed I’ve been sewing and watching Downton Abby on my Kindle. I wish it would never end…except I can’t stand Thomas or the curly bangs maid. Yesterday I started another double hourglass quilt…this time using a template I got from Jodi’s shop. This template uses 2 1/2″ strips, so I figure if I make a block like this every time I have extra strips instead of throwing them in the scrap bin…I’ll have a fab quilt eventually. The blocks square up to 8″, so luckily I won’t have to make 10000 of them and they go together really fast. I love snuggling with her in the mornings. O'brien is the worst! I think worse than thomas. Such a sweet sleeping babe! What a sweet, sweet little girl! Hey, I found a recipe for Creme Sticks. Want me to send it to you? After you see what is in them, you probably won't want to eat one ever again!! UGH! O'Brien. I can't remember watching a show where I actually disliked a character as much as her. But the whole show is so wonderful….can't wait for it to come back on in September. Wow, what a beautiful little sweetie! What a beautiful image, and love your bed linen! Heehee. Glad to know I'm not the only one! ;) Lovely quilt!! Awww. She looks so peaceful. Love the dimple! What fabric are you using? Looks very familiar. Your little miss Sophie is so sweet! She looks so peaceful while sleeping! Your quilt will look awesome, can't wait to see it finished! Oh my goodness Sophie is soooo gorgeous! What a beautiful baby!! Thank you for the chevron quilt pattern! I loved the one you made and hope to make one soon. Thanks for the Chevron quilt pattern–love it. Such a sweet baby! Your little one is so precious! I haven't started Downton Abbey yet. Since I have a tendency to get addicted to programs, I am procrastinating starting the 1st episode! I want to make chevrons. 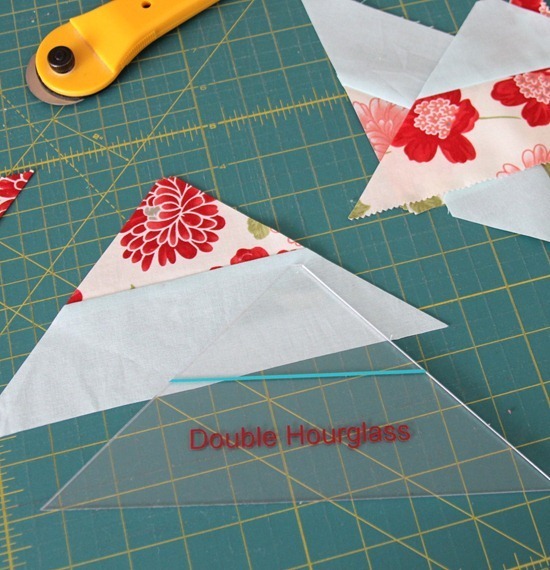 I want to make double hourglass blocks. And Sophie is adorable!! *I* want to snuggle with that little lovebug! Thanks so much for the link to the Forties Chevron. If I wasn't in the midst of 3 large quilt projects, I would start this one today! Great way to use up scraps. Ok, O'brien is horrible!!!!! And I'm only on episode 7 of the first season! Netflix doesn't have anymore on the tv subscription. So I have to wait til I can get them another way. Lame. In an better note, Sophie is adorable!!!!!!!!!!!!! I got one of Jodi's acrylic templates for that too… and then we moved a week later and I haven't seen it since. Darn that invisible acrylic. Que maravilla de bloques, de quilt….y que hermoso bebé. Sophie is such a cutie! that double hour glass looks like a fun block, I'll have to remember it whem my new stash of Amelie arrives. I watched 2 seasons plus the christmas special of downton abbey in 2 days…totally addicting. 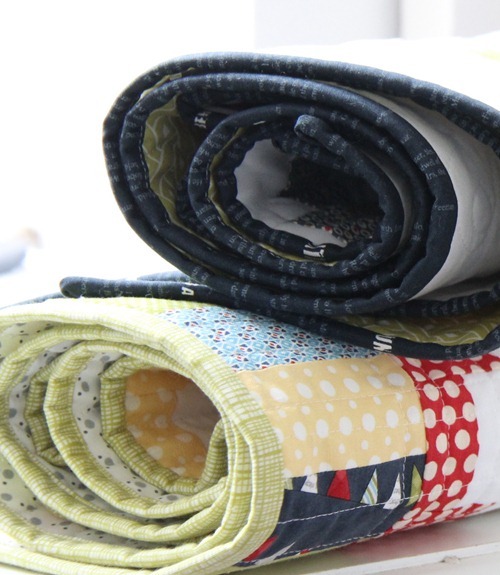 Love the quilts ~ especially the double hourglass quilt. It's really pretty! 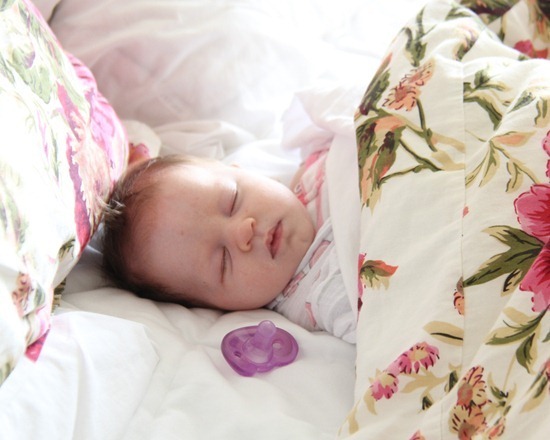 Ah, Sophie is such a sweet baby ~ I love how babies look when they're sleeping. Enjoy that snuggle time. It is wonderful and sweet and gets you through so many rough spots later! So do you like using the new template that you purchased to make these blocks? I still want to make one of them, just haven't started it yet. 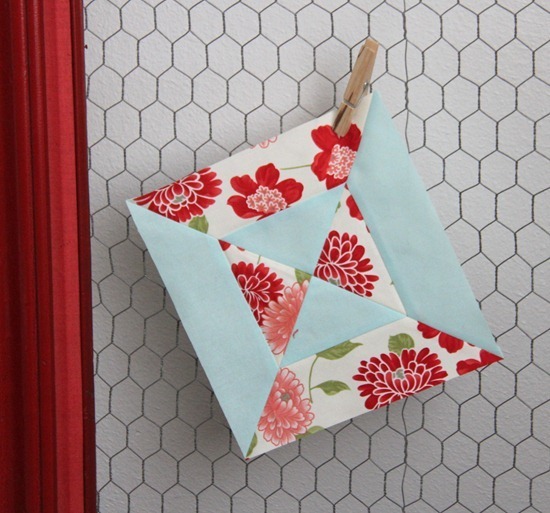 Love the double hourglass block and making them with scraps is a brilliant idea. No wonder you love to cuddle with your adorable little one, she looks so cuddly and sweet! I'm so so so excited to hear that you have new patterns coming out! I just LOVE your patterns, so beautiful and so quick to put together! Sophie is beautiful and your quilts are too. Sophie is beautiful! but why do we only see her sleeping? She's SO GORGEOUS. I can't believe how old she looks already. Those cheeks and her sweet mouth. No wonder you can't get enough snuggles. I'm glad you're enjoying that sweet girl. And kudos for working ahead on the patterns. I'm sure it wasn't easy at the time but man how nice it must feel now. Your Sophie and my Nikolai. Cuteness and trouble abound should we ever get them together! Beautiful! I love the idea to use 2 1/2 inch strips as you go, so they're already made later. Such a darling baby girl! Mine are all grown and how I miss not having any babies around! As a side note: What kind of Kindle do you have? Is it also a phone? I've been debating and debating……..
OMG… what a cute baby! Congrats!